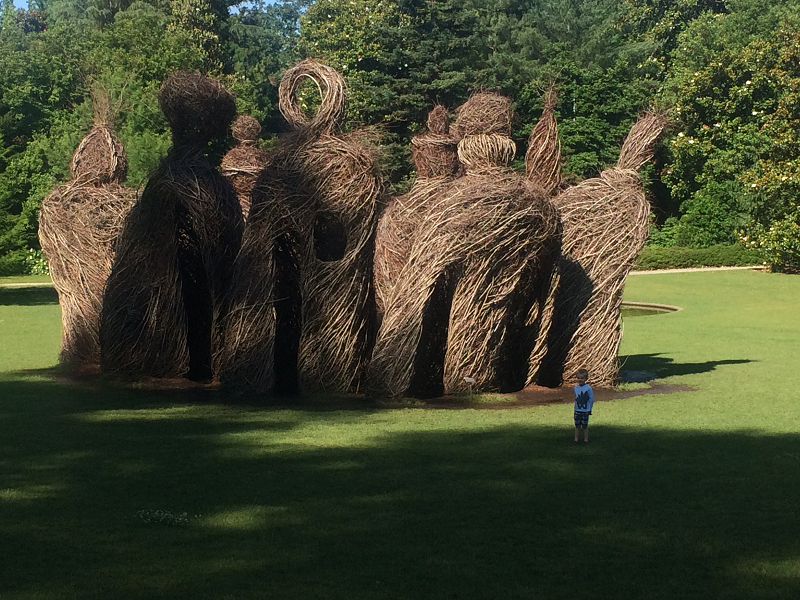 If you’ve been to Duke Gardens recently you’ve probably seen the amazing twig sculptures on the South Lawn. Designed and created by North Carolina artist Patrick Dougherty (http://www.stickwork.net/) the sculptures are both fantastically beautiful and a great space for kids to explore. As I was watching the sculptures be constructed, I realized that I had an abundance of saplings popping up in my yard (Redbud and Winged Elm), and that they weren’t all that much different from the twigs being used for the Duke Gardens sculptures. While I knew that I couldn’t make anything as impressive as the sculptures above, I decided to try a simple garden teepee. Using about a dozen 8-10 foot long saplings spaced 6 inches apart I made a circle with a 3 foot opening, which I tied together at the top. I chose a location nestled under a Black Gum and behind an azalea, so the entrance is tucked away and feels hidden. Including planting vines on the teepee the entire project took an afternoon. I’m hopeful that the teepee will be covered in honeysuckle vine flowers and hummingbirds next summer, and will be a fun place for my kids to play. Have a garden inspiration you want to make a reality? 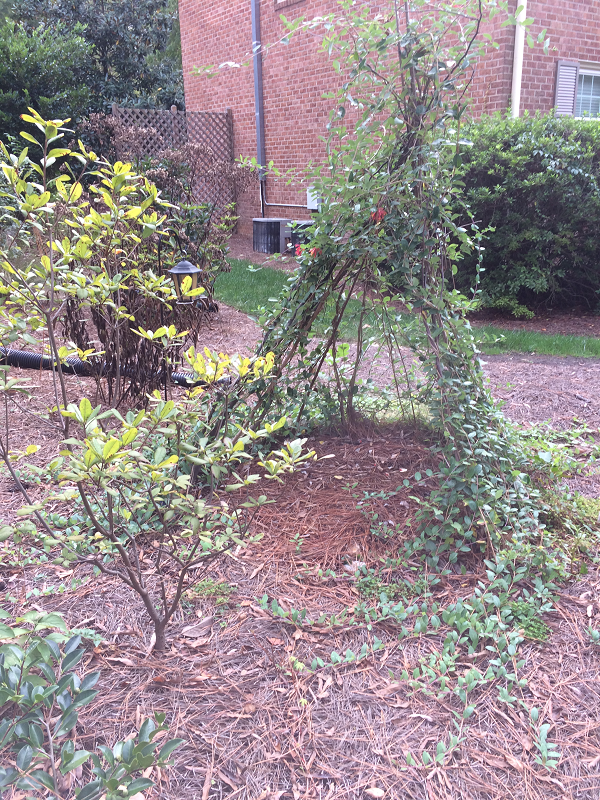 Contact Bright Leaf Landscaping at 919-619-4460 or fill out our online contact form. Design and installation are our expertise, and we are always happy to meet with new clients to discuss potential projects! One of my favorite types of designs to work on are woodland gardens. Clients with a wooded landscape may have concerns about deer and shade. Fortunately, there are numerous plant options with deer resistance and shade tolerance. Read on to learn about a few plants that I like to incorporate into a woodland setting. Like a lot of design elements, statuary in a garden can be dramatic and interesting or just seem misplaced and odd depending on how it is incorporated into the overall design of the space. One lesson that I learned in design school is that any statuary elements, including fountains, potted plants, etc. should add to a space that already has a strong planting composition, rather than be the element that makes the composition work. In other words, these elements can be the icing on the cake, but the cake had better be pretty good on its own. 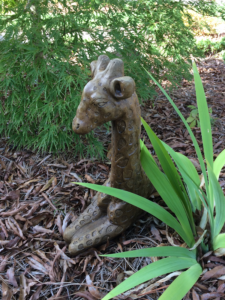 Read on to learn more about adding statuary to a garden. 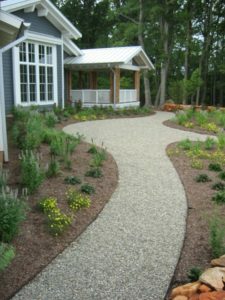 I get a lot of calls from clients who are stumped on what to do with their sloped yards. There are a variety of plants that I use to resolve erosion issues and ensure less maintenance. Read on to learn about low growing plants that work well on slopes. Step 2 – Plant: Winter is a great time! Whether you do it yourself or hire a company like ours, landscaping design and installation is an investment of your time and money into your property. Done well it can be a wise investment – with the payout being increased beauty and higher property values. Read on to learn about common landscaping mistakes and how to avoid them. Last summer some large Leyland Cypress trees came down on my neighbor’s property resulting in a lot more light in my front yard, as well as some additional space to fill with plants! As 2017 comes to a close, I’m revisiting some of the plants I decided to add to this space – Teddy Bear Magnolia, Magic Carpet Spirea, and Ruby Slippers Hydrangea. The Teddy Bear Magnolia was the definite winner for me. This is a plant that I’ve been aware of for several years but for some reason had never used. Little Gem is another dwarf Magnolia cultivar, and for whatever reason it seems to be more readily available in the nursery trade. In any case, I’m now a Teddy Bear fan! In addition to large glossy leaves with velvety undersides this dwarf tree surprised me with its relatively quick growth rate. Typically when you pick a dwarf cultivar for smaller size, you also get a very slow growth rate, so I was pleasantly surprised when this tree put on over a 1.5 feet of growth in 1 year. Many of my clients are a little confused when I suggest evergreen shrubs. They automatically think the plant is just a plain green shrub. In fact, evergreen plants are simply those that do not lose leaves in the winter. 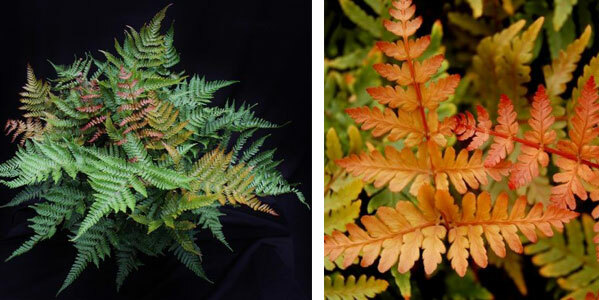 Read on to learn about some colorful choices for evergreen shrubs.